Strategic thinking and implementation strength bring about leaps in productivity. When talking about productivity improvement, figuring out what needs to be done is only part of the equation. The hardest part comes in implementation. We will help you to solve this problem through customized production systems that will achieve sustainable productivity gains. You can see the improvements at your plants when looking at the EBIT impacts. We think strategically, but do not just stop at analyses and concepts. “To implement” means for us: we mobilize and qualify your employees , increasing their speed and allowing them to work in a concentrated manner without making any mistakes. The result is an integrated, holistic solution for your value stream, with the dividend being cents and euro. We accelerate production processes across all stages of production. 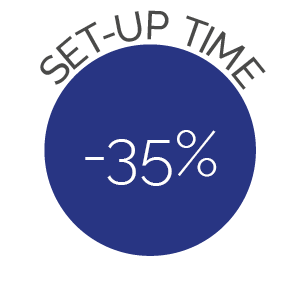 We minimize set-up times for product changes. We combine speed and quality, ensuring low costs. 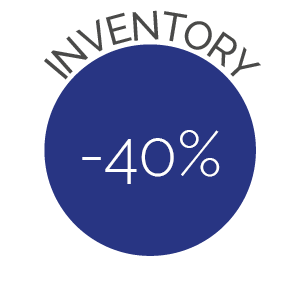 Our holistic approach to optimization reduces working capital. Finding the economically right manufacturing depth and choosing the fitting production location are the decisions which greatly affect business success. Apart from political and economic conditions, qualified employees and customer proximity, other important factors here include the global, European and national differences regarding labor costs. The various dimensions of globalization are a huge challenge, especially for suppliers. Our expertise can help you when it comes to finding the right answers to these challenges. Make or buy, securing one’s production location by increasing performance, moving the production to another location or increasing the production capacities at the existing location? Together we will find a production strategy with which your company can adjust its degree of vertical integration and (global) footprint to the changing conditions. The key to a well-organized and efficient production process is a systematic improvement approach. One-time measures that are implemented bring about isolated productivity gains that usually will remain fragmented. A first-class production system, however, can only come about by having an overall system in place. That is the issue one really has to deal with. That is why we optimize your entire value stream within our projects, based on a goal-oriented plant analysis with an integrated calculation of potential output. 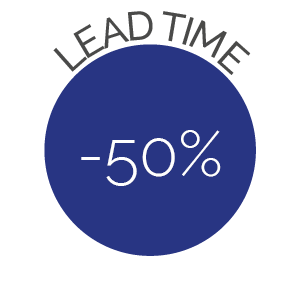 We plan and design lean production systems in accordance to the latest scientific findings to improve your overall equipment effectiveness. For this, we rely on tried-and-tested methods such as value stream mapping and design, the ConMoto basic enhancement process as well as a consequent shop floor management approach. 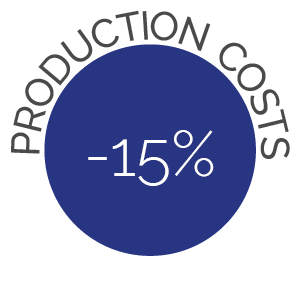 Depending on the type of production, the manufacturing costs decrease by 14 to 18 percent and the overall equipment effectiveness (O.E.E.) increases by 14 to 22 percent. Industry 4.0 is a reality and the automation as well as digitalization of manufacturing plants is accelerating all the time. That is why we also include the networking of product and manufacturing plants as well as transport and storage systems in our pragmatic cost/benefit analysis. We will break new ground with you and our job is to help you get better at a quicker pace.